← From Welling United to Arsenal, the meteoric rise of Carl Jenkinson. Plucked from obscurity for the at the time seemingly excessive fee of £7 million, the former Genk 22 year-old has lit up the Premier League this season for Aston Villa and has been the only spark of light in a struggling team and these performances have seen him implanted firmly in the Belgium starting XI. A player who effectively bullies the defenders tasked to mark him out of the game, Benteke is a veritable giant of a man who, unlike many other target-men, has a good turn of pace and is able to take on a man and beat him with his dribbling skills, both of which John Heitinga found out to his failing this weekend (Benteke scored twice and generally ran him ragged). However, he is no mere target-man. He can play the role of poacher and that of the simple out-and-out forward, and he has essentially been playing a combination of these roles at Villa this season. Amazingly, despite his tender years, he has coped easily with the weight of the pressure heaped upon him by him being a relegation threatened team’s chief goal-getter. This current squad of Belgian players is known as the golden generation, and this seems clear to see with the team simply bursting with talent, particularly in midfield, where several top-class Premier League players play. The vast majority of these players will be reaching their prime come the 2014 World Cup, which they are en route to qualify for, and the 2016 Euros. Their issues before this point has lain with the national team’s mismanagement firstly, and secondly, with Belgium’s lack of a mature, recognised striker. This second issue looks to have been solved by the emergence of Benteke, whose pace, power and panache should allow him to fit seamlessly into a line-up stuffed with players more than capable of providing the ammunition for his cannon of a right foot that has provided him with more than one memorable strike form range this season. The first-team place nailed down by Romelu Lukaku this season is also an exciting prospect for Belgium. Simon Mignolet GK 24 26 Sunderland F.C. Thomas Vermaelen DC 27 29 Arsenal F.C. Jan Vertonghen DC,DM,DL 25 27 Tottenham Hotspur F.C. Dedyrck Boyata DC 22 24 Manchester City F.C. Moussa Dembele CM,CAM,ST 25 27 Tottenham Hotspur F.C. Eden Hazard LAM,CAM,RAM 22 24 Chelsea F.C. 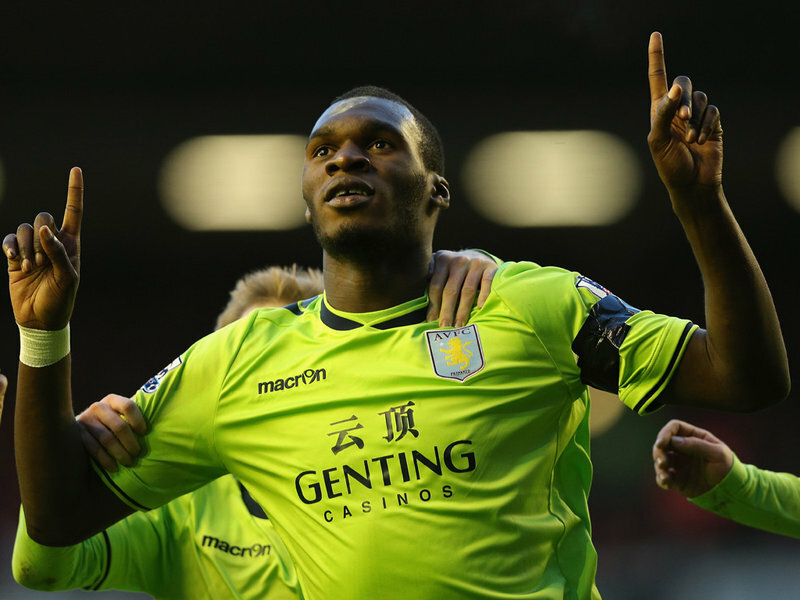 Christian Benteke ST 22 24 Aston Villa F.C. This current squad of Belgian players is known as the golden generation, and this seems clear to see with the team simply bursting with talent, particularly in midfield, where several top-class Premier League players play. The vast majority of these players will be reaching their prime come the 2014 World Cup, which they are en route to qualify for, and the 2016 Euros. Both of the members of their first-choice centre-back paring of Kompany and Vermaelen will be in their golden years come 2014 and this is also true for the entirety of the team essentially (hopefully the younger players will be first-team regulars come 2014). The very fact that their two first choice wide-men are two of the best in the premier league, Eden Hazard of Chelsea and Kevin Mirallas of Everton, should demonstrate the talent of the midfield providing for the solitary striker in the formation that is generally used by the current manager and the fact that Hazard especially is also a central attacking midfielder by trade, allows him to be used as both an out-and-out winger and also an inside forward to support Benteke through the middle and provide a few goals from the wing. This is also possible with Mirallas who could be played as an outside forward, taking the part of the goal-scoring pressure off Benteke’s broad shoulder. Another factor that will help Belgium enormously is that 3 of their main midfielders came through the Standard Liege academy in the same year and played first-team football together for a while. These are Marouane Fellaini, Steven Defour and Axel Witsel, now plying their trade in different countries, but the understanding they will have garnered between each other and the fact that they will have been educated with the same footballing philosophy, will help them to grow together in the national team into a unit not dissimilar to Barcelona’s midfield triumvirate of Busquets, Xavi and Iniesta. Their strength in depth in all positions, possibly aside from full-backs, should surely allow them to go far in international competition and these emerging strikers have completed their team. Benteke’s form has heralded the completion of the golden generation team.